Sometimes it takes a cute dog to attract attention and lead a call to action. To keep this blog snappy, here is the context you need for the rest of this article to make sense. Swindon, along with four other local authorities took part in a government-funded Voter ID pilot scheme. The trial required residents to show a form of ID before they could vote at the local elections on 3 May. In the case of Swindon, our residents could bring a poll card or another form of photo ID. It meant we had a simple message for voters. “Bring your poll card to vote on Thursday 3 May 2018” was basically our mantra for about six months. Boring as that sounds, sticking to that clear instruction really helped as it made it difficult for people to get confused. It must have worked as almost all people brought their poll card to vote. Our campaign strategy was basically bombardment. We tried lots of methods to get the message out there like bus back posters, local magazine adverts, bus shelter posters, media briefings and interviews, paid-for and organic social media, a YouTube video that could be subtitled in five languages and a lot of stakeholder work. We contacted over 500 stakeholders directly, including groups identified in our Diversity Impact Assessment (note the capitals highlight seriousness). This level of stakeholder engagement was time consuming but worth it as it meant we could get messages directly into the heart of communities which otherwise we might not have reached. Our evaluation revealed that direct mail was the most successful channel to reach our audience. We sent out two letters to 86,000 households which contained clear messaging. For all the fun social media can bring, direct mail can’t be underestimated as a channel. For us, the direct to household and stakeholder communication was the foundation with every other form of advertising being (very useful) supplementary reminders that reinforced the message. Our social media also featured frequent, simple reminders of the message. This was useful but as we were doing it over four months, repetition of the same message can become a little bit like counting sheep in that it gets so familiar that people stop paying attention and dose off. To sum up, we were basically Gollum from ‘Lord of the Rings’. Just replace ‘My precious’ with ‘Bring your poll card’ and you have our social media. So we decided social media would be the best place we could try and liven things up and still reach a wide audience. This manifested itself in the form of theme weeks. Our first was pop culture (if you like nerdy references and promoting democracy and seeing tenuous links made between Lord of the Rings, Harry Potter and poll cards “Accio!”, our feed was the place to be), next was a week aimed at first time voters called #VoterVirgins which made full use of bright, vibrant pop art captioned with voting calls to action that were slightly suggestive, thirdly we used a ridiculous list of things that could not be used as ID (who knew a chameleon wasn’t a form of ID? Informative!). 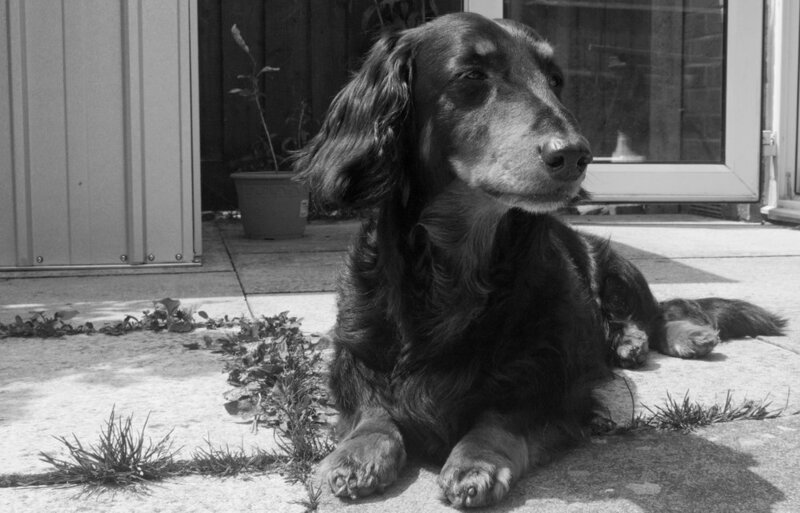 This whole new direction can be summed up by the star of our campaign, Slinky the sausage dog. Our excellent designer, Lewis (owner/agent of Slinky), created a video of Slinky meandering around Swindon landmarks in a pair of wings made from left-over Voter ID materials (watch the video, no matter how I describe it, it will sound fake) raising awareness and being delightful. He also shook and nodded his head to let people know what ID they could bring (again, just watch it, it’ll make sense). This whole exercise of mixing serious with silly ended up working as audiences were either delighted, confused or mildly annoyed which was great as it meant people engaged, shared, commented and asked questions. By making our posts a bit sillier we made the whole situation feel a lot less formal and residents felt a lot more comfortable approaching us with questions. We did keep up the clear messaging on both our paid-for and organic channels as we wanted to keep consistency, which was the right move as otherwise there was a danger that people would focus on the silly rather than the message. We only introduced the silly themes a few weeks before the election when residents had already had two months to absorb the clear message so the silliness just acted as a fun reminder. Casting the right balance was important, as too serious would make us seem boring and nervous like Alice in Wonderland’s White Rabbit was writing our tweets, whereas too silly would have made us seem over-the-top and disconnected, like our social media was being run by Deadpool or Beetlejuice. The campaign was a success. Voter turnout rose by 6 per cent from the last local election. Out of everyone who turned out to vote, only 60 didn’t bring the correct ID and 35 of them came back with the right ID to vote later on that day. So out of the 62,191 who visited a polling station to vote, just 25 chose not to return with the relevant ID - that’s 0.04 per cent. There are lots of factors that made this happen but the biggest one can be summed up as communicating in an honest and straightforward way that would appeal to people rather than “the eligible voting population”. We could have just spewed information at them like IKEA assembly instructions and hoped they figured it out and didn’t get divorced or fight over it but, instead, we focused our communications on information that residents needed to help make the change an easy one. Not to mention the use of a certain sausage dog with wings. Kate McKee is communications executive at Swindon Borough Council.